The Prom Is Heading To Netflix! Currently playing at the Longacre Theater. It seems that Netflix can't get enough of Broadway with the news that The Prom will be heading to the streaming service in due course. The musical's producer, Ryan Murphy, announced the news ahead of the April 9 performance at the Longacre Theater. Murphy announced the news alongside The Prom's director, Tony winner Casey Nicholaw, who will also be directing the brand new Netflix offering. 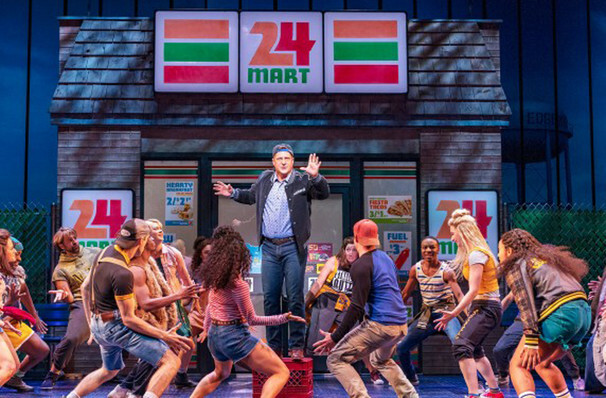 The Prom is the latest Broadway production to be transferred to the streaming site, following in the footsteps of American Son which opened at the Booth Theater last November and announced a Netflix production earlier this year. The official release date and cast have not yet been announced, but we'll let you know as soon as we have any more information! What is The Prom about? In a small town in Indiana, prom has been cancelled! And it's not down to bad behavior or financial issues - it's because the high school has forbidden, a female student, Emma from bringing her girlfriend! When a group of quirky Broadway actors hear her story, filled with outrage they swiftly travel to the community in an attempt to correct the injustice. However, their attempts at social activism don't go un-noticed and instead make the situation far worse then they could have ever imagined. The community erupts into chaos as cultures clash. Emma's future and the actors careers all hang in the balance. The Prom is now playing at the Longacre Theater. View our show pages for more information about The Prom, Longacre Theater.